Squirrel Girl's plan to stop Doctor Doom from taking over the future from the past with an army of computer science students armed with the best EMP generators 1960s technology could create has failed! But all is not lost! For another Squirrel Girl from the future, armed with her own Doom Armor, has arrived to join the fight! There's so much about this book that I love. I love the cutesy artwork by Erica Henderson and Rico Renzi. I love the humor-packed script by Ryan North. 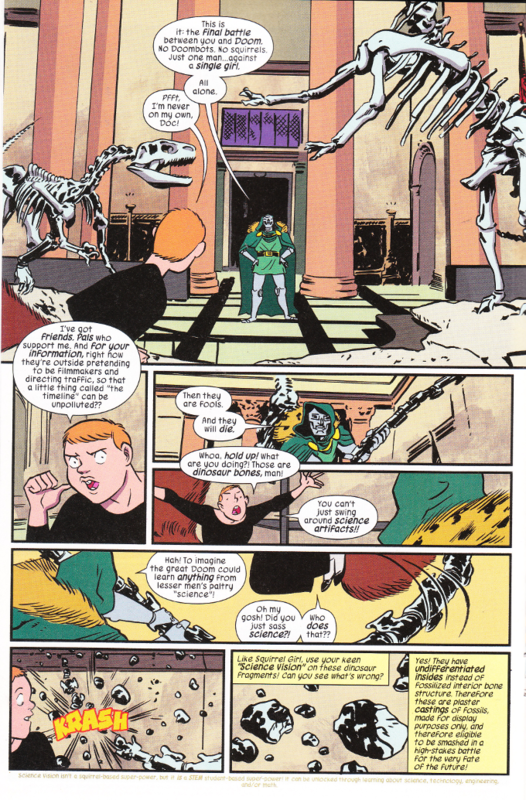 And I especially love that Squirrel Girl has a "science-vision" power that enables her to determine that it's okay to trash a museum while fighting Doctor Doom, because the dinosaur bones in one exhibit are plaster replicas and clearly not real, horribly-valuable dinosaur bones! 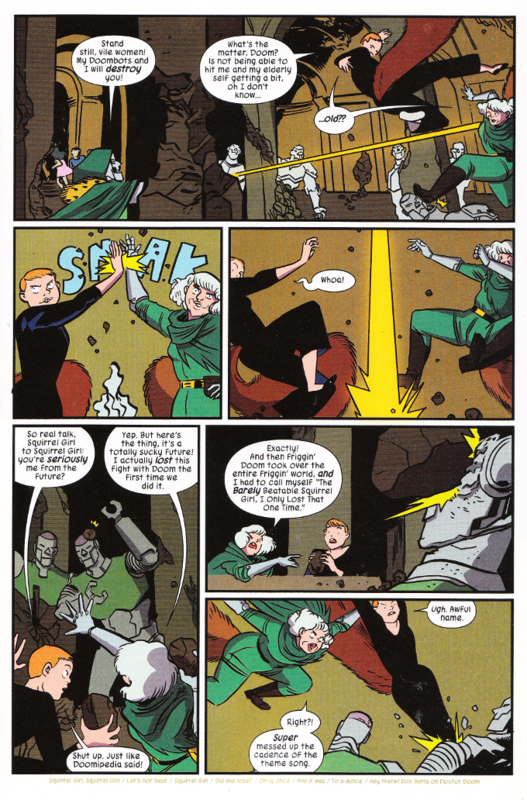 The Unbeatable Squirrel Girl is an incredibly silly comic. It is also incredibly fun and funny, in a way rarely seen in the modern age of American Comics. I am thankful this comic exists, if for no other reason than its very existence seems to annoy those people who take their funny books far too seriously. Relax, pull up a bowl full of nuts and enjoy one of the best books on the stands today!